Seventeen-year-old Eureka won’t let anyone close enough to feel her pain. After her mother was killed in a freak accident, the things she used to love hold no meaning. She wants to escape, but one thing holds her back: Ander, the boy who is everywhere she goes, whose turquoise eyes are like the ocean. And then Eureka uncovers an ancient tale of romance and heartbreak, about a girl who cried an entire continent into the sea. Suddenly her mother’s death and Ander’s appearance seem connected, and her life takes on dark undercurrents that don’t make sense. I’ve been interested in Lauren Kate’s Fallen series ever since I first heard about it but somehow never managed to read it. 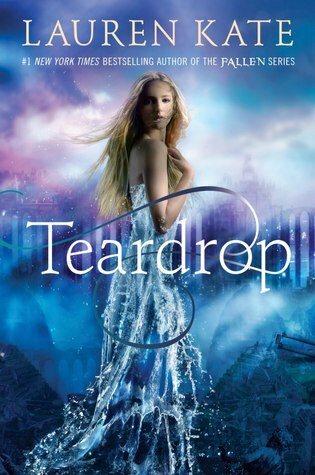 That’s why I was so pleased when I was sent a review copy of Teardrop, the first in her new YA series. Eureka has lost her mother in an accident. A rogue wave washed over a bridge and threw the car into the ocean. Eureka who was in the car with her was miraculously saved. We know from the beginning who saved her but we don’t know why her mother had to die. Eureka has a hard time coping. She even tries to take her own life. That her father’s second wife bullies her into going to therapy doesn’t help. Slowly Eureka loses interest in in everything and she’s angry that nobody understand that you can not just forget an accident and a loss like that. Nobody seems able to reach Eureka, not her family, nor her friend Cat, or her best friend Brooks who changes in odd ways. But there is Ander. A guy who appears seemingly out of nowhere at every moment. Her mother has left Eureka a strange book and a mysterious stone. She finds an old woman who is capable of translating the book which seems to date back to Atlantis. As if Eureka’s life wasn’t difficult enough, Brooks disappears and she is followed and threatened by a group of people Ander seems to know. Questions upon question arise, the most confusing one: Why is Eureka not allowed to cry? There were a few things I really liked about Teardrop. First of all the setting. The story is set in Louisiana, somewhere near New Iberia. I loved the descriptions, loved how Eureaka runs in the rain, the evocation of humidity and lush vegetation. I think I even liked the setting and the atmosphere far better than the characters or the story. Eureka is a girl I felt for. She is isolated in her grief and surrounded by people who have not the tiniest bit of empathy. I think that was captured well. The love story was a bit too superficial for me but maybe there will be more depth to it in later books. The story which circles around the myth of Atlantis is unique, unfortuntaley the foreshadowing that Lauren Kate uses takes away some of the surprise. The end is a cliffhanger and if book two was already out, I’d pick it up. I really loved the setting, the importance and symbolism of water and I’m interested to see where this is going. I read the first book in her FALLEN series and just didn’t like it… I am not sure if I will try this one or not. People seem to just love her, but I seem to be missing what the attraction is. There are writers who grab me more, that’s for sure but I loved the setting. I might not like Fallen at all. La couverture est kitschissime. I don’t know how to say that in English. Emma – Richard glad you’re having fun. You got at least something out of this post. This sounds s cut above the typical YA novel that is so very popular these days. I like the Atlantis connection. Strangely have been thinking about Atlantis lately, nothing too deep, just pondering the myth. I ususally like books based on or influenced by myth and some of the ideas were quite dark. I liked the water imagery. I think I would like the setting as well. And I love the cover! I totally loved the setting. Her Fallen covers are some of the most beautiful I’ve ever seen but I thought this was special too. It works well for the book. Not at all the sort of book I would normally read – it feels like too much going on there – the death of a mother, the mystery of Atlantis, a love story… But I’m glad you enjoyed it and after the intensity of German literature month I daresay it was relaxing to read something so different! I had no idea there was a New Iberia in Louisiana–the French influences are so great there. Not sure this is my genre, but I have to admit I’m intrigued. Yes, I think close to Lafayette. I guess it’s not your genre but the world she creates has something. At least she describes the landscape the way I picture it. I’ll have to visit Louisiana some day. Beautiful review, Caroline! I love the cover! And the main story. The myth of Atlantis, the water imagery, suspicious people chasing the heroine, a mysterious love interest, a cliff-hanging ending – what more does one want 🙂 I haven’t read Lauren Kate’s ‘Fallen’ series, though I remember it was a big hit when it came out. But this one – I want to read it. Thanks for this review. Hope the second part of the trilogy comes out soon. On a different topic, love the fact that snow is falling on top of Mr.Cat above 🙂 Is he loving it? I’m curious to try Fallen. I think the second book of this series will be very different. As far as I see it will ove more into mythological territory. I would have loved to read more in this setting. The book has a fascinating interview with the author in the back, I really loved to read how she writes her books. I hope you will like it, if you read it. You’re welcome. 🙂 The only bad thing is that it will take a while until all three parts are out. Yes that will be a long wait. One of my friends used to say that she loved the anticipation while she waited to read a book. That is nice when the next part is going to be released in the near future. When I read Kelley Armstrong’s Omen earlier this year it bothered me that I couldn’t just pick up the next one. Yes, I remember your review. I hope the next part of her series comes out soon. I’ve noticed a lot of YA novels are part of a series–lots of cliffhanger endings–but it’s certainly a way to ensure readers keep buying an author’s books! 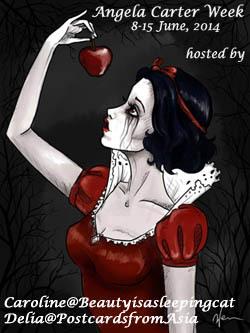 This is one I think I wouldn’t likely pick up but I wouldn’t mind reading a few YA novels next year. Skip this. 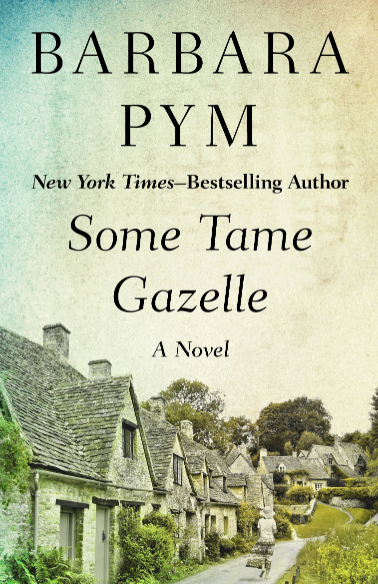 There are far better YA novels out there. I just finsihed one which was quite unsettling and has an amazing structure.